This is my fourth post in a series of posts going ‘Back to Basics‘, re-examining techniques and ideas introduced on teacher training courses. The British Council Teaching English website defines elicitation as ‘a technique by which the teacher gets the learners to give information rather than giving it to them’. Eliciting language from the students can help in creating a more learner-centred classroom, getting the students more involved and engaged in the lesson. Rather than spoon-feeding the students, it makes them more active in the learning process. Eliciting builds on the students’ existing knowledge, linking old and new information. When do we need to elicit language? Vocabulary – in a receptive skills lesson (pre-teaching items before reading or listening to a text). Language focus – eliciting features of meaning, form and pronunciation of the target language. General knowledge – finding out what students know about a topic during a lead in. This post focuses on eliciting vocabulary during a pre-teaching stage of a receptive skills lesson. The value of pre-teaching is an issue which tends to polarise experienced teachers. It often features quite predominantly on a CELTA course, but as teachers gain experience, many tend to find themselves pre-teaching less, and instead encouraging learners to deduce meaning from context. For more on this debate, see this IH Journal article by Chris Ozog, and this blog post by Rachel Roberts. The British Council Teaching English website defines pre-teaching as ‘the teaching of the language learners need before an activity’. It is commonly done in a reading or listening lesson before the learners are exposed to the text for the first time. There may be important words in the text which are beyond the learners’ level, and could block understanding; focusing quickly on these words before being given the text can support the learners, providing scaffolding. Otherwise, the teacher may find themselves having to teach the same word again and again to many different individuals as they come across it in a reading text; it can also help to reduce the need for students to stop and reach for a dictionary when they find a new word, speeding things up somewhat. An item which the student needs to understand in order to complete the task which has been set (e.g. it is in the question, or is necessary to answer the question). An item which is key to understanding the overall meaning of a text. An item which assumes the reader has specific cultural knowledge. An item which occurs frequently in the text. Of course, it would be unadvisable to pre-teach all the ‘difficult’ words which appear in a text. This language is being taught to provide some support in helping the learners process the text; they need to be able to tolerate and deal with ambiguity too. How can we make eliciting effective? Go from meaning to word (not word to meaning) – rather than asking “What does ‘crew‘ mean?”, ask “What do we call all the people who work on an aeroplane or a boat?”. In the first example, the teacher is eliciting meaning, which helps few – what can often happen in this situation is that a student who already knows the word offers the answer, leaving those who didn’t know the word with little information about meaning; the teacher here is ‘flying with the fastest’. Going with the concept first, as in the second question above, keeps everyone at the same pace so meaning is clear before the new item is dropped into the gap. Don’t flog a dead horse – if it becomes clear that the students have understood the concept but just don’t know the word, then provide the item yourself and concept check to ensure they are clear on meaning. Drop the language item in to fill the gap in their lexis. Eliciting is not a game of charades – Avoid the temptation to say things like “It sounds like ‘wiggle'”, when eliciting ‘giggle’ – Meaning is key, form comes later. Keep it snappy – remember this language is not the target language of the lesson, it is just being taught for recognition. 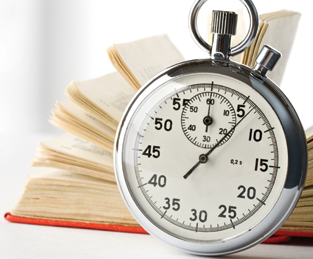 A 15-minute pre-teaching stage in a 40-minute reading or listening lesson does not contribute much to meeting the main lesson aim and is not efficient use of valuable classroom time. This stage can interrupt the flow of a lesson, and students might wonder how the seemingly random words being taught are connected, so to avoid this, be snappy with it and limit it to only the essential items (usually no more than 3 or 4, and no more than a minute or so for each). Check meaning – after meaning has been conveyed, use concept checking techniques to ensure that the students have got it. For help with concept checking, see my previous post (Concept Checking Revisited). Use a variety of techniques to provide a balance of focus and pace. Use concept checking techniques to ensure students have understood the meaning. Provide, or elicit from a student, a clear model of the pronunciation. Allow students to practise saying the item, first together with others (choral drilling), then nominating students randomly so you can focus on individual learner problems (individual drilling). Provide a written model on the board for students to copy and have a written record in their notes. Eliciting and boarding the part of speech, word stress and any tricky sounds is useful here so the students can have a record of how to use and say the item. See a previous post (Cheeky Phonemes) for more tips on highlighting tricky sounds on the board. Think carefully about why you are pre-teaching language – is it really necessary? Be efficient and keep it snappy! Stuck for an idea for a lead-in? Starting a new unit and don’t want to go straight into the book? Not sure how to set the context in a communicative way? This simple idea might be just the activity for you. Getting learners discussing quotations on a topic can be an engaging, communicative and student-centred start to a lesson; it can come as a welcome alternative to discussing questions in pairs. Quotations on most topics can be found pretty easily, though the more abstract topics perhaps lend themselves best to this activity. Many course book units have an overarching theme, for example ‘success’, ‘challenge’, ‘love’, ‘laughter’, ‘music’, ‘travel’ etc. Discussing quotations on the topic can introduce the theme in a thought-provoking way. Search for quotations on the internet. A simple google search for ‘success quotes’, for example, delivers over 129,000,000 results, so you shouldn’t have too much trouble finding some! Cut and paste any appropriate quotations into a document. Whittle down your list of quotations to about 10 or so. This is not an easy task – include quotations which are most likely to stimulate discussion and not cause too many vocabulary issues, perhaps choose quotations from people your students might have heard of. Print or write out the quotations on small strips of paper and pin them up around the room – ideally do this before the lesson starts for a seamless start to the activity. Ask students to circulate with a partner discussing the meaning of the quotations. Give them a task to focus them (e.g. choose their favourite quotation, or the quotation they agree/disagree with most). Allow plenty of time for this. Once back in their seats, you could pair students up with a new partner to exchange ideas. Get some content feedback open class – e.g. which was the favourite of the class and why? Pick up on some language areas – e.g. common vocabulary issues, different interpretations of meaning. It can be difficult to judge how long this activity will last; you may need to ‘go with the flow’ somewhat. Depending on the length of your lesson and what you intend to cover, you may want to use fewer quotations for a snappier lead in, particularly if you have some meaty lesson content coming up. For more tips on timing, see this previous post. The students start communicating right at the start of the class. The quotations provide a stimulus for discussion, helping students who might struggle for ideas, or those who are less opinionated. Discussion of more abstract ideas stimulates deeper engagement and thought, rather than simply talking about personal experiences. The discussion that emerges is real-life and is engaging for the students. This activity provides variety of focus and pace, and is student-centred. Quotations tend to be memorable. So, why not give it a go? Hopefully it’ll be a success. For more ideas on lead-ins, click here. 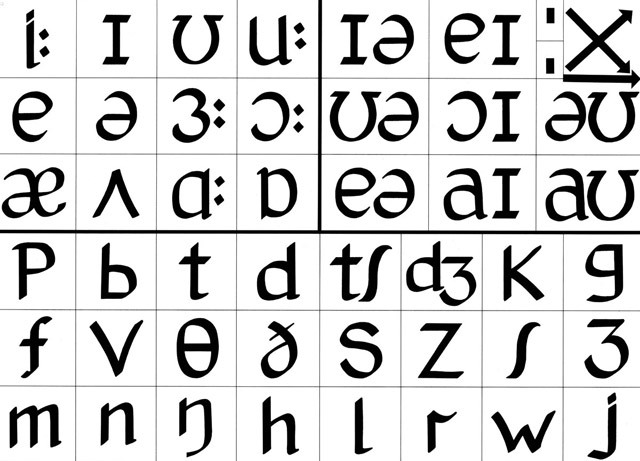 Many teachers find the phonemic chart a little overwhelming, whether they be newly qualified teachers, trainees on a teacher training course such as the CELTA or Delta, or even very experienced teachers. There can be no better place to start learning about phonemes and the phonemic chart than Adrian Underhill’s excellent book ‘Sound Foundations’, and his accompanying blog and YouTube video. Other useful resources include the Macmillan Interactive Phonemic Chart and the Cambridge English Online Phonetics Focus website. It can be daunting, trying to write entire transcriptions of words on the board. However, it is often much more useful for the student (and easier for the teacher) to simply highlight the troublesome sounds, as you can see I have done in the title of this post. I like to call this the ‘cheeky phoneme’. In all the above examples, I have tried to identify the sounds which students are likely to have difficulty with, particularly when spelling can have an influence on pronunciation. ‘Haphazard’, is up there as a recent student of mine was convinced that the pronunciation was /ˈhæfəzəd/, making an overgeneralisation that the ‘ph’ spelling in English is always pronounced /f/. You will have noticed that the phonemes are all highlighted in red; it can be useful for teachers to use a consistent colour code in their boardwork. For more boardwork tips, see an earlier post ‘Tweaking your Boardwork‘. If you would like some practice with writing cheeky phonemes, get yourself a pen and paper have a go with the words below: Remember to highlight only those sounds which are likely to cause difficulty for your students. Click here to see examples of possible sounds to highlight. You may have identified different sounds; this of course can be dependent on your teaching context and it is important to identify the sounds that the learners in your context have difficulty with. Using phonemic script takes practice, and planning, but working with a few key sounds and getting a few cheeky phonemes up on the board can be a good starting point. Feedback and comments welcome below, as always. So, after planning a lesson tailored to the needs of the individual student, all they seem to want to do is have a chat. You start to wonder if it is worth planning the lesson at all. Then there’s an occasional pang of guilt when you think about how much the student is paying just for ‘a chat’. This is, I’m sure, a familiar situation for many an EFL teacher. 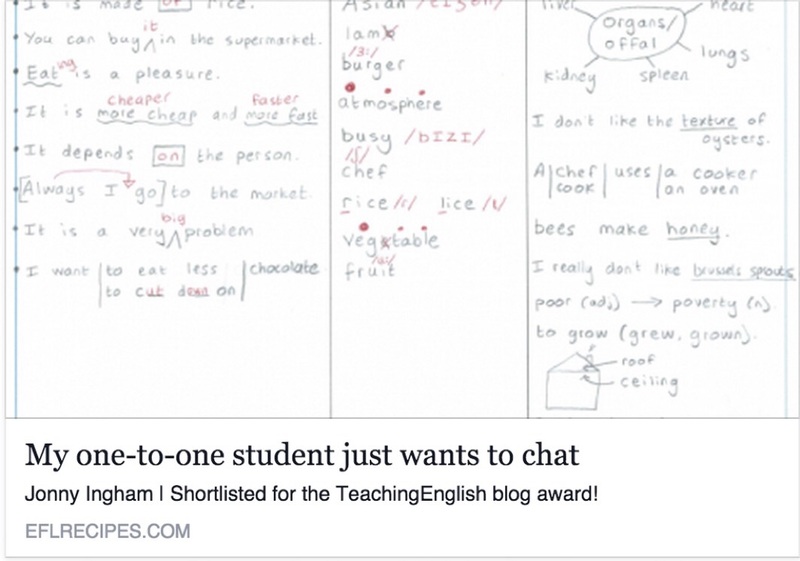 A one-to-one lesson naturally lends itself to a less structured approach. The teaching situation, in fact conforms very much to the three tenets of Dogme teaching (Lessons are Conversation Driven, Materials Light, and focus on Emerging Language). But what about that nagging thought? What would the student say they learned in that lesson? Are they making progress? Are they aware of the progress they are making? The student can be encouraged to self-correct their slips and the teacher can work with the student to upgrade their language. The teacher can elicit the correct pronunciation of any words, utterances, highlighting difficult sounds or stress patterns; this can be followed by some targeted drilling to improve the student’s pronunciation. As in the picture above, a different coloured pen can be useful for this stage. Of course, at the end of the lesson, the student can take the language review home to look at in more depth if they want to. It can be useful for the teacher to take a photocopy too in order to inform future planning and encourage further recycling of language. This encourges a high level of overt feedback on production. The students have a record of emerging vocabulary. The students are encouraged to self-correct their slips and errors. The student becomes aware of their most common mistakes and fossilised errors. Progress is easier to track and importantly, it is made overt to the student. 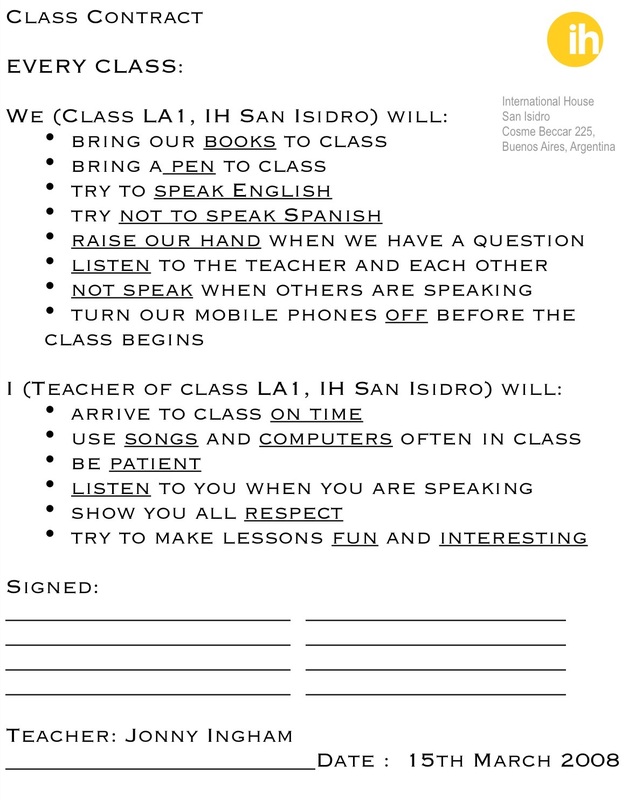 The other side of the form can be used as a mini whiteboard for any language presentations/clarifications. The student leaves the lesson with a record of what they covered in the lesson and opportunities to review it in their own time. I am delighted that Suzanne agreed to write this guest post based on a super INSETT session she recently delivered at IH Palermo. Without further ado, I’ll hand over to Suzanne. There has been considerable discussion in contemporary ELT about the prevalence of ritualistic teaching, and reading is a case in point. Texts tend to be used in the same ways: either to present language, or as part of a skills lesson that follows a fixed CELTA- framework of lead in, pre-teaching vocabulary, gist and detailed questions. In the first case, we are interested in comprehension because it allows the meaning of the target language to be understood from the context. And while the second case certainly comes from useful principles, by applying it uniformly we may be ignoring an important opportunity to develop much needed reading skills. Most students have specific reading needs in the language they are learning. They may encounter reports at work, university textbooks, emails, timetables, magazine or news articles, to name a few, and all of these genres benefit from particular reading sub-skills which may or may not be naturally transferred from L1. Ideally, teachers should find out what these requirements are through needs analyses or informal discussion and plan the lesson content and methodology accordingly. However, even when this is not possible, more can be done to ensure that the texts that we use are fully exploited and students develop a text-attack toolkit which they can use outside the classroom. 1. Read the text below quickly (ignore any new words at the moment). How many examples of genre can you find in 10 seconds? We are constantly bombarded by written information which we process at some level, from a vroomy glance at the adverts as we walk down the street to a quoogh examination of the reports we receive at work. Each time you check a train timetable, sbokily look at a menu or gawd through the newspaper your brain is making decisions about how to read it based on the text type and why you are reading it. For example, when we finally have time to pick up that novel we’ve been wanting to read since Christmas, we’ll read it carefully so as to follow the developments of the plot. But if I need to find out how to change the date on my DVD player I won’t read the manual from cover to cover, I’ll use the index to find the best page. Can you find any clues in the surrounding text to suggest what it might mean? For example: vroomy is an adjective. It refers to glance, which I know is about looking. In this case, I’m looking at adverts in the street. How do I do that? Quickly? Without concentration? 3. Underline the three things that we consider when we read. What implication does this have for classroom practice? The first activity focuses on scanning, or reading a text in order to find specific information. This can be a fun activity to use with texts that are rich in names or numbers, and it accurately reflects how we process certain genres, like timetables or information sheets. If you have an interactive whiteboard, you could display the text, line students up in 2 teams, and have them race to hit or circle the name or number that you call out. Technology also provides engaging ways to practice skimming (reading quickly in order to understand the main idea of a text). For example, you can bring the screen cover down over the projected text so students have to read quickly, or use a PowerPoint animation to make the text appear and disappear at an appropriate speed. The second task is designed to help students work out meaning from context. 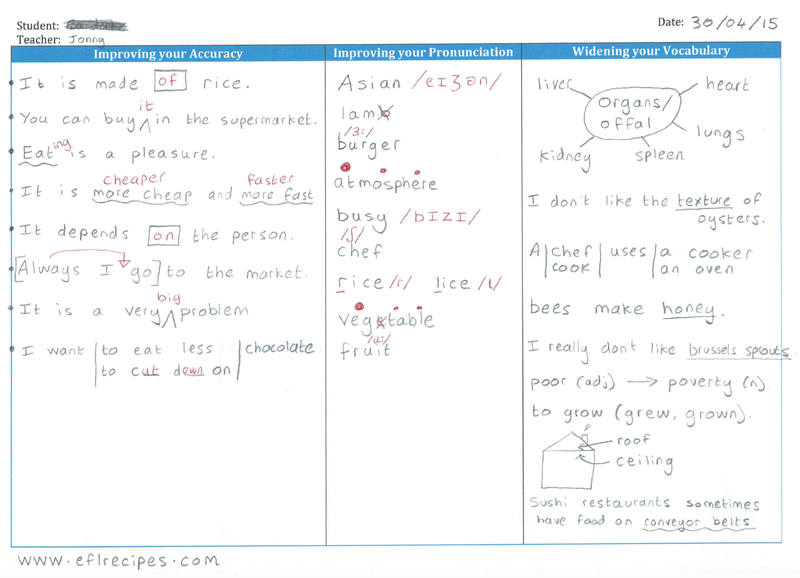 Learners benefit from being shown how to do this with an example on the board, with the teacher highlighting important references and eliciting potential interpretations. It can be helpful to use a word which is clearly nonsense or even just a blank space, as students are more likely to be curious and less likely to focus on the fact that they don’t understand. Importantly, they should be reassured that it isn’t necessary to guess exactly the right word. Rather, they should try to grasp the concept and all feasible suggestions should be welcomed. Unlike pre-teaching, this approach can be easily applied to texts that students meet outside the classroom. Hopefully you came up with ideas similar to subconscious, thorough, cursorily, and flick! In the final stage, you were asked to look at the paragraph as a whole and, importantly, to consider its implications. When we read, we consider what it is, why we’re reading it, and how we should read it. When we plan reading lessons, we should put ourselves in the students’ shoes and ask these questions in order to devise effective activities that develop appropriate reading skills. This means that the framework of a traditional receptive skills lesson probably won’t be appropriate for all texts, and the teacher needs to tailor the lesson shape accordingly. However, it should involve time for students to reflect and relate what they’ve read to their world, their opinions, and their original reason for reading. It’s the equivalent of you reading this blog post and then deciding whether or not it will affect your teaching practice. 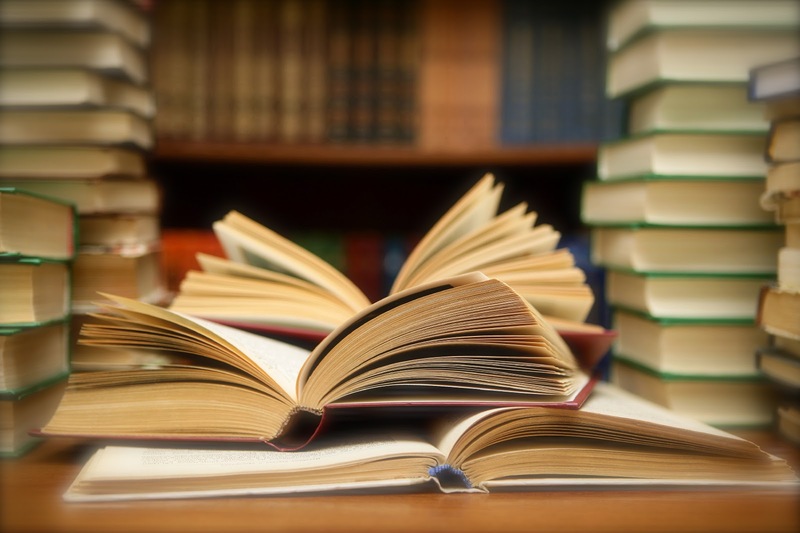 Some people may argue that this idea promotes an overly atomistic view of reading and that, with practice, students will naturally transfer and develop effective reading skills. However, in many contexts learners have limited exposure to the L2 and benefit from being made aware of the tools that they can use to process written information. As teachers, our job is to provide these tools and explain how to use them. Students can then decide whether and when to use them outside the classroom. Many of these ideas are adapted from Teaching Reading Skills in a Foreign Language, by Christine Nuttall (Heinemann: 1982), which I thoroughly recommend to anyone interested in the subject. Teens get a bad rap. Ask anyone to come up with an adjective to describe a teenager and they are likely to come up something fairly negative like ‘moody’, ‘uncooperative’, ‘loud’ etc. There are also plenty of positive adjectives to describe teenagers: ‘curious’, ‘passionate’, ‘independent’, ‘creative’ to name but a few. There’s a lot going on in a teenager’s head as their brains are developing towards maturity. The frontal cortex, in particular, develops rapidly during adolescence. This is responsible for executive functions and cognitive flexibility including the ability to direct our attention, to plan future tasks, to inhibit inappropriate behaviour, and to keep more than one thing in mind at once (Blakemore & Frith, 2005). Whilst these changes can cause some of the undesirable characteristics already mentioned, there are some positives. An adolescent’s brain is adaptable, it can be ‘sculpted and shaped’ as neural connections are ‘eliminated and pruned’ (Geidd, 2002). It is, in fact, an optimal time for learning. For more of the research on teenage brains, follow this link. Clearly this has huge implications for teachers of adolescents regarding their approach. Teachers need to think carefully about suitable activities and resources; learners’ interests; classroom management; language presentation; and of course motivation. Here are some top tips from experienced EFL teachers currently teaching teenagers. Corinne’s top tip focusses on actively finding out about the students’ interests. Use class discussion activities, mingles and surveys about how they spend their free time. Ask the students to do some written work about their interests. Create an online survey using a free resource such as SurveyMonkey. You can then use the results of all of this to inform your planning. Can you find any interesting resources, articles or videos related to their interests for use in skills work? What topics might stimulate actual discussion or debate? Most teenagers these days are interested in technology, embrace this and exploit it. A very simple but effective activity is to get them describing photos taken on their smartphones. This can stimulate a huge amount of speaking and can also be useful exam practice. Remember, your students are the best resource you have in the classroom. Use them! Suzanne spoke about resources to use with teenagers. Use current, up-to-date material, and where possible, authentic material to increase motivation and personalisation. Let them bring their world into the classroom. Show an interest in teen culture but don’t try to play teenager and be one of them! The teacher represents authority and this distinction needs to be kept clear. Exploit natural communication as it emerges in class and respond to this. A Dogme approach can work well with teenagers. Lessonstream has some excellent ready to go lessons, many based on short YouTube videos. There is some really great stuff on there. Check it out. Similarly, Film English has hundreds of really great lessons based around videos, and many on teen-friendly topics. LyricsTraining is a great one to recommend your students try out at home. It really gets them engaged with listening to their favourite music and working on the lyrics. A good one to encourage learning out of class. Lizzie discusses the importance of challenge. Challenge provides engagement, and under-challenging the learners therefore can can create disengagement. Quite often this lack of challenge is one of the causes of poor discipline in the adolescent classroom. Providing challenge and maximising the the learning potential of the students is one of the key areas of Demand High Teaching. Have a look at Jim Scrivener and Adrian Underhill’s Demand High blog for more on this, and my earlier blogpost on one simple demand high technique. With some of my past groups of teenagers, songs were quite simply the one thing that engaged the students the most. Music can be a window into the soul and it would be foolish not to exploit this in class. Find a song which tells a story or sends an important message and use it as you would use any other text in a listening lesson. There are a couple of examples in the ‘Something Authentic‘ corner on this blog. Some songs can be used as a contextual vehicle for language work. There is of course, the clichéd gapfill – an easy thing to do, but difficult to get right, choose the gaps wisely. An alternative to the gapfill is writing the lyrics wrongly, with students correcting the text. You could cut the lyrics up into lines or verses, with students listening and putting them into the correct order. Find forums discussing the meanings of song lyrics for students to read and discuss, and write their own comments (warning – many of these forums contain inappropriate language so cutting and pasting from these is often better than going directly to the websites). Teens want to express themselves but often fear embarrassment. Role-play allows teens to express their inner, conflicting feelings in a safe manner. Teens may be more comfortable expressing opinions of other people rather than their own opinions. Using topical or slightly controversial (but not personal) issues can stimulate lots of speaking in a role-play. Some of my students recently performed very successful role-plays on animal rights, for example. For more tips from Jenny on teaching young learners, see her guest post on ‘Routines with Young Learners‘. Rupert highlights the importance of rapport. In my experience teaching and observing teen classes, the number one thing that makes a difference is rapport. If the teacher has established a good rapport with the class, there is mutual respect, cooperation and negotiation. Take time to get to know the students – use getting to know you activities and make a conscious effort to learn and use their names all the time; take an interest in their lives. Get down to to the level of the students and remove any physical objects between you and the class. Think about the arrangement of the furniture, the class dynamics in one recent class I taught changed dramatically the day I moved the desks into a horseshoe shape. Respect them and treat them as individuals, foster a sense of personal identity. Empower them and get them involved in class decisions. Let loose a little and have some fun with them. Let your personality shine through. Many teens are highly competitive in the sense that they want to show off. Exploit this and give activities a game-like challenge. Get students working in teams and winning points. This can be an effective way to promote positive behaviour in a class. The team with the most points at the end of the lesson could get some type of treat – perhaps deciding on a game to play or a song to listen to. A variation on this is to give students a loyalty card in which they collect points for language production, participation, task completion etc. When they reach ten points they can receive a treat. Games can provide a change of focus and pace, particularly if they involve physical activity. However, they should be short and snappy and have some linguistic aim. My favourite competitive game to use with teenagers is Kaboom! I didn’t feel that it was fair to point cameras in the faces of the teachers without volunteering to do the same myself, apologies for the unfortunate camera angle! Consider drawing up a classroom contract early on in a new course. Elicit rules and consequences from the students. They can also draw up rules for the teacher. This can all be negotiated together, and signed by the students. This builds up mutual respect and makes the students responsible for their actions. This should then be placed on the wall so it is available for reference for the entire course, and simply pointing to it can remind students. When dealing with discipline, being consistent and treating everyone equally is the key. and creating motivation are of high importance. It is the quality of teacher-student relationships that makes the biggest difference in teaching this age group, and motivation is key. As Allen (2006) states, it is “as important for teenagers’ school success as the ways teachers deliver the subject matter”. With thanks to the teachers of International House Language Centre Palermo for their invaluable contributions. Allen, J . (2006). Cited by Bromley (2006). Blakemore, S. & Frith, U. (2005). The Learning Brain. Oxford: Blackwell Publishing Ltd.
Bromley, A. (2006). What teenagers want. Inside UVA Online Volume 36, Issue 12. Giedd, J . (2002). Interviewed on Inside the Teenage Brain (Spinks, S. 2002). Lewis, G. (2007). Teenagers. Oxford: Oxford Univer sity Press. Spinks, S. (2002). Inside the Teenage Brain. Front line TV programme. Boston: Spin Free Production. 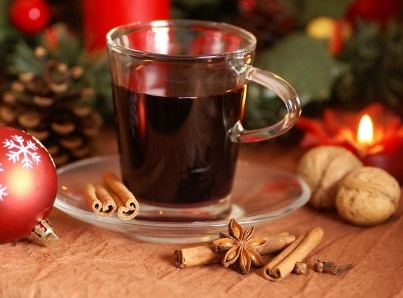 I’ve had lots of requests for the mulled wine recipe I used at our Christmas drinks party last night, so here goes. It’s based on a Jamie Oliver recipe which can be found here. It takes a bit more effort than the pre-prepared stuff you can get in tea bags, but it is definitely worth it. Put the sugar into a large saucepan and place on a medium heat. Using a vegetable peeler, peel the clementines and the lemon, trying to get just the outer layer and avoiding the white pith (much like when peeling the lemons in my recipe for limoncello). Squeeze the clementines and add the juice to the pan. 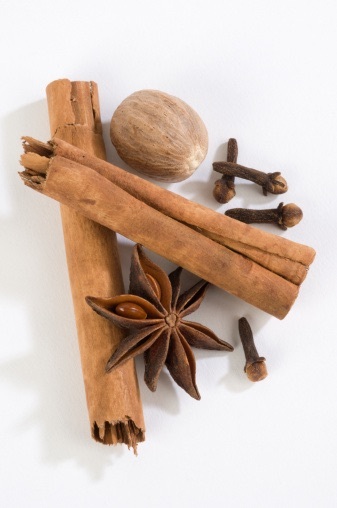 Add the cinnamon stick, bay leaves, vanilla pod, nutmeg and cloves. Pour in a little wine, just enough to cover the sugar. Stir it all together and let the sugar dissolve. Bring the mixture to the boil for about 5 minutes. It should create a thick syrup, and will smell amazing. This stage is important as the high heat allows all the flavours to infuse. If you add the wine before, then the alcohol will burn off with the heat. Turn the heat down, add the star anise and add the rest of the wine. Heat the mixture gently for 5 minutes or so. Ladle into glasses and enjoy.